Kerry Madden-Lunsford will lead a discussion of The Member of the Wedding by Carson McCullers. The Big Read is a program run by the National Endowment for the Arts (NEA), designed to revitalize the role of reading in American culture by exposing citizens to great works of literature and encouraging them to read for pleasure and enrichment. The Big Read is a program of the National Endowment for the Arts in partnership with Arts Midwest.7 Stages is pleased to be a recipient of The Big Read Grant. This season 7 Stages will focus on Georgia native Carson McCullers The Heart is a Lonely Hunter. Join us during The Big Read for festivals, activities, and book club discussions all culminating with a 7 Stages production of: Preview Feb 12-13 / Perform Feb 14-Mar 1, 2015 fml is a play about surviving high school and the transformative power of literature. Inspired by Georgia native Carson McCullers’ The Heart Is a Lonely Hunter, fml follows Jo, a young girl who is the target of gay bashing, after reading the novel she is motivated to embrace her queer identity and finds the courage to speak out for herself and stand up to her bullies. To kick off the Big Read partnership Charis will host an all-ages preview of the play and a discussion on Thursday, November 9th at 7:30pm. We also encourage everyone to stop by the Charis booth at Pride and sign up to be a part of the 7 Stages book club and get a free copy of The Heart is a Lonely Hunter. Join us for a reading group discussion of The Heart Is a Lonely Hunter By Carson Mccullers! With the publication of her first novel, The Heart Is a Lonely Hunter, Carson McCullers, all of twenty-three, became a literary sensation. With its profound sense of moral isolation and its compassionate glimpses into its characters' inner lives, the novel is considered McCullers' finest work. At its center is the deaf-mute John Singer, who becomes the confidant for various types of misfits in a Georgia mill town during the 1930s. Carson McCullers , The Member of the Wedding. Carson McCullers , The Heart Is a Lonely Hunter. Carson McCullers reinvented herself after leaving home at age 17 to study at the Juilliard School of Music in Manhattan. Something happened to make her lose the money and she never attended the school. Instead, she worked and took night classes at university. Her published writing began to appear in 1936. She suffered throughout her life from serious illness, including rheumatic fever and several strokes. By the age of 31, her left side was completely paralyzed. Her work, usually set in the South of her birth, often focused on people seen as misfits and outcasts. Carson McCullers has a Legacy Library. Legacy libraries are the personal libraries of famous readers, entered by LibraryThing members from the Legacy Libraries group. 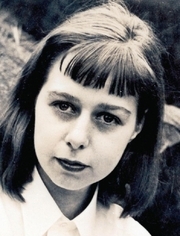 » Carson McCullers's legacy profile. Carson McCullers is currently considered a "single author." If one or more works are by a distinct, homonymous authors, go ahead and split the author. Carson McCullers is composed of 5 names. You can examine and separate out names.